NOTE: This guide focuses on Google Kubernetes Engine (GKE), but we also have similar guides for Minikube, Azure Kubernetes Service (AKS) and Amazon Elastic Container Service for Kubernetes (EKS). In recent years, containers have become the definitive way to develop applications because they provide packages that contain everything you need to run your applications: code, runtime, databases, system libraries, etc. Kubernetes is an open source solution for managing application containers. 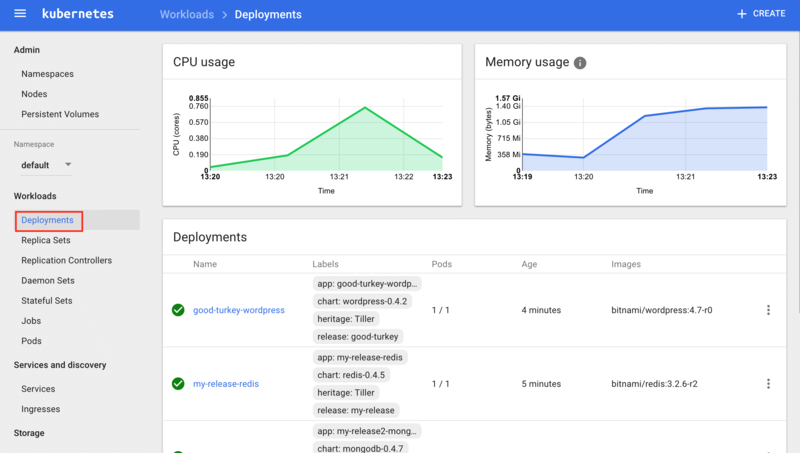 With Kubernetes, you can decide when your containers should run, increase, or decrease the size of application containers or check the resource consumption of your application deployments. The Kubernetes project is based on Google’s experience working with containers, and it is gaining momentum as the easiest and the most recommended way to manage containers in production. Applications can be installed in Kubernetes using Helm charts. Helm charts are packages that contain all the information that Kubernetes needs to know for managing a specific application within the cluster. This guide will walk you, step by step, through the process of deploying applications within a Kubernetes cluster using Bitnami Helm charts. Kubernetes is an open source project designed specifically for container orchestration. Kubernetes offers a number of key features, including multiple storage APIs, container health checks, manual or automatic scaling, rolling upgrades and service discovery. Applications can be installed to a Kubernetes cluster via Helm charts, which provides streamlined package management functions. If you’re new to this container-centric infrastructure, the easiest way to get started with Kubernetes is with Bitnami Helm charts. Bitnami offers a number of stable, production-ready Helm charts to deploy popular software applications in a Kubernetes cluster. Kubernetes is platform-agnostic and integrates with a number of different cloud providers, allowing you to pick the platform that best suits your needs. Check Kubernetes official documentation to find out the right solution for you. The official Helm webpage defines Helm as a “package manager for Kubernetes” but, it is more than this. Helm is a tool for managing applications that run in the Kubernetes cluster manager.Helm provides a set of operations that are useful for managing applications, such as: inspect, install, upgrade and delete. Helm charts are packages of pre-configured Kubernetes resources. A Helm chart describes how to manage a specific application on Kubernetes. It consists of metadata that describes the application, plus the infrastructure needed to operate it in terms of the standard Kubernetes primitives. Each chart references one or more (typically Docker-compatible) container images that contain the application code to be run. A description of the package (chart.yml). One or more templates, which contains Kubernetes manifest files. Despite the fact you can run application containers using the Kubernetes command line (kubectl), the easiest way to run workloads in Kubernetes is using the ready-made Helm charts. Helm charts simply indicate to Kubernetes how to perform the application deployment and how to manage the container clusters. Bitnami provides a set of stable and tested charts that give you the opportunity to deploy popular software application with ease and confidence. Google Kubernetes Engine (also known as GKE) is a cluster manager and orchestration system for running Docker containers in the cloud. It is a production-ready environment with guaranteed uptime, load balancing and included container networking features. It allows you to create multiple-node clusters while also providing access to all Kubernetes’ features. TIP: For more information on how to run a Kubernetes cluster on other platforms, please refer to our other guides. 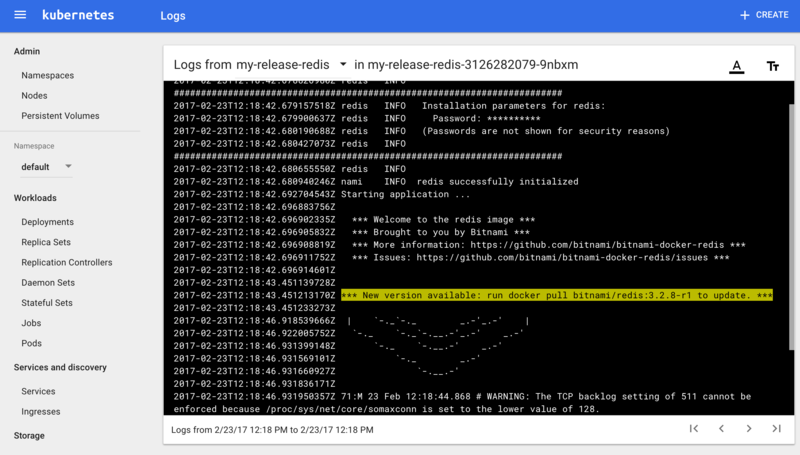 In this tutorial, you will learn how to install the needed requirements to run Bitnami applications on Kubernetes using GKE. 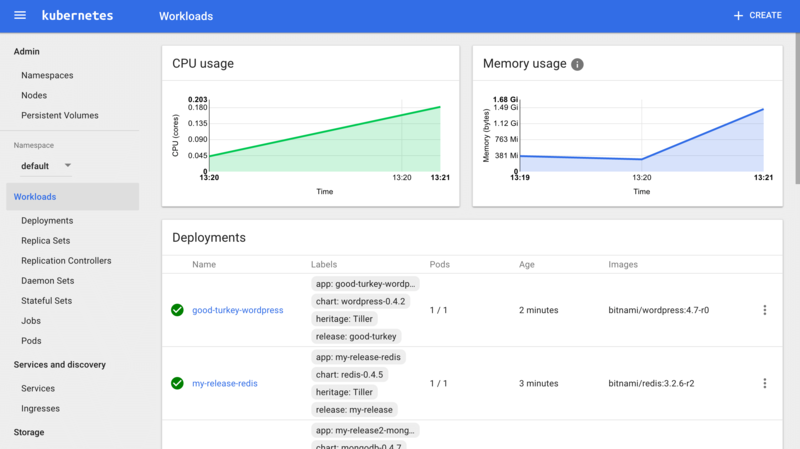 This guide focuses on deploying Bitnami applications in a Kubernetes cluster running on Google Kubernetes Engine (GKE). The example applications are Redis, MongoDB, Odoo and WordPress. You already have an account and a project created in Google Cloud Platform. You have Cloud SDK (the Google command line interface for Google Cloud platform) installed. NOTE: GKE is recommended for production deployments because it is a production-ready environment with guaranteed uptime, loadbalancing and included container networking features. The first step for working with Kubernetes clusters is to configure the gcloud command-line tool. Enter the Google Cloud Platform account and project you wish to connect to the Google Compute Engine. Configure Google Compute Engine by entering the compute zone. IMPORTANT: The compute zone you have entered for configuring Google Compute Engine must match with the zone you will specify when you create the Kubernetes cluster. Now that your gcloud CLI is set up, your local system is communicating with your Google Cloud Platform account and project. After completing this step you will be able to create a Kubernetes cluster. Run the commands below. Remember to replace MY-KUBERNETES-CLUSTER with the name you chose for your cluster, and use a different subnetwork name if you don’t wish to use the default one. Configure the compute zone. Remember that this zone must match the one you indicated in Step 1. Replace the COMPUTE_ZONE placeholder with the correct value. 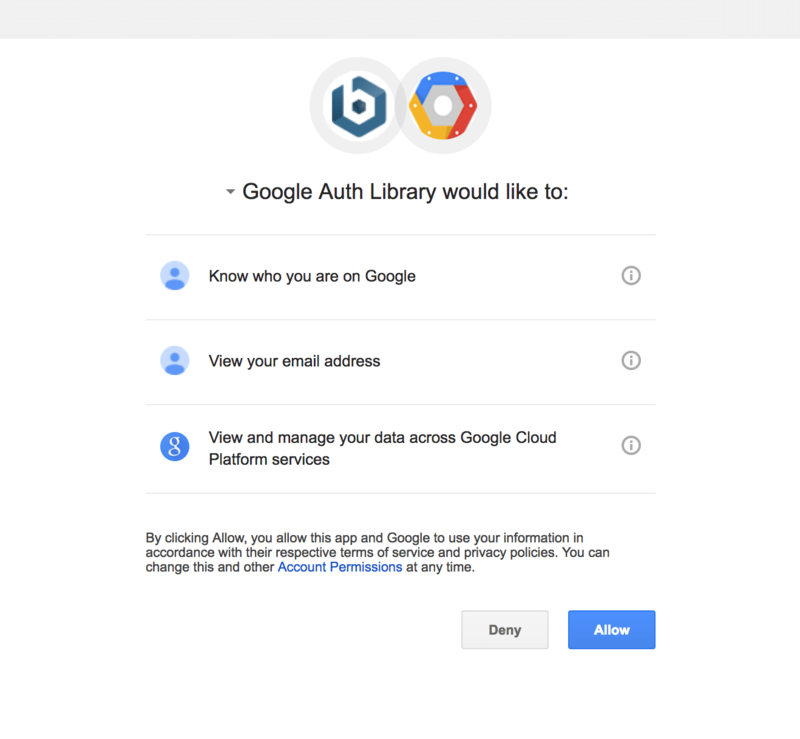 Now, your cluster is authenticated with the Google Cloud SDK. 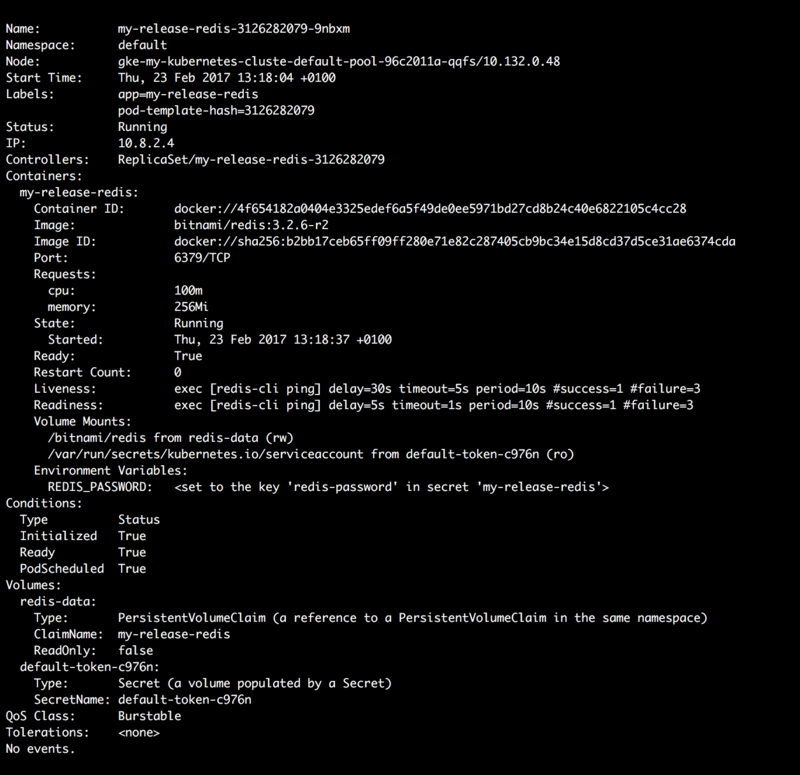 You can install the kubectl CLI and start to work with your Kubernetes cluster. Execute the following commands to install the kubectl CLI. OS_DISTRIBUTION is a placeholder for the binary distribution of kubectl, remember to replace it with the corresponding distribution for your Operating System (OS). 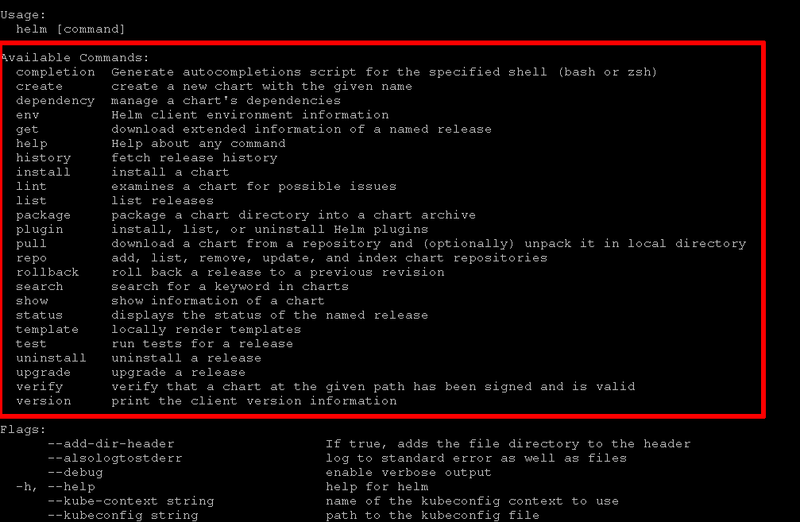 TIP: Once the kubectl CLI is installed, you can obtain information about the current version with the kubectl version command. NOTE: You can also install kubectl by using the sudo apt-get install kubectl command. NOTE: The kubectl cluster-info command shows the IP addresses of the Kubernetes node master and its services. Learn more about the kubectl CLI. TIP: If you are using OS X you can install it with the brew install command: brew install kubernetes-helm. Create a ClusterRole configuration file with the content below. In this example, it is named clusterrole.yaml. A Helm chart describes a specific version of an application, also known as a “release”. 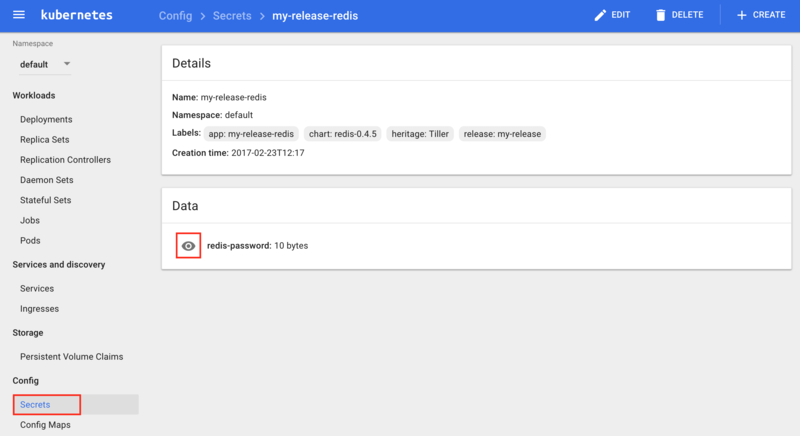 The “release” includes files with Kubernetes-needed resources and files that describe the installation, configuration, usage and license of a chart. These are just some concrete examples of application releases. Find more Bitnami charts. By executing the helm install command the application will be deployed on the Kubernetes cluster. You can install more than one chart across the cluster or clusters. IMPORTANT: If you don’t specify a release name with the --name option one will be automatically assigned. 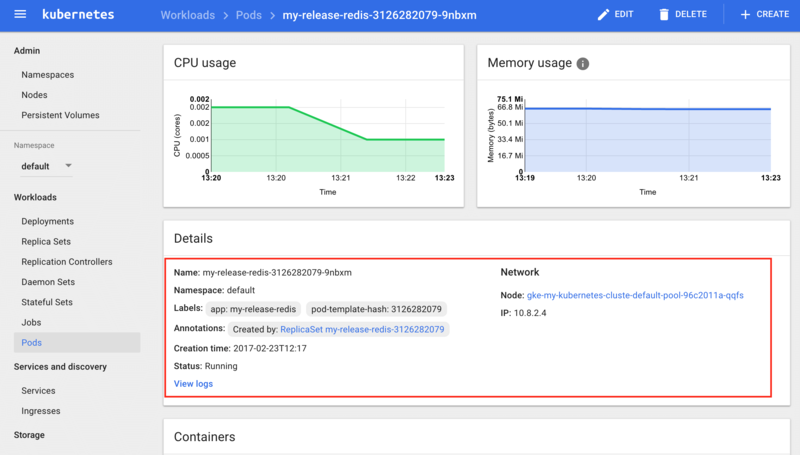 NOTE: Check the configurable parameters of the Redis chart and their default values at the official Kubernetes GitHub repository. NOTE: Check the configurable parameters of the MongoDB chart and their default values at the official Kubernetes GitHub repository. NOTE: Check the configurable parameters of the Odoo chart and their default values at the official Kubernetes GitHub repository. NOTE: Check the configurable parameters of the WordPress chart and their default values at the official Kubernetes GitHub repository. Now, you can manage your deployments from the Kubernetes Dashboard. Follow the instructions below to access the Web user interface. 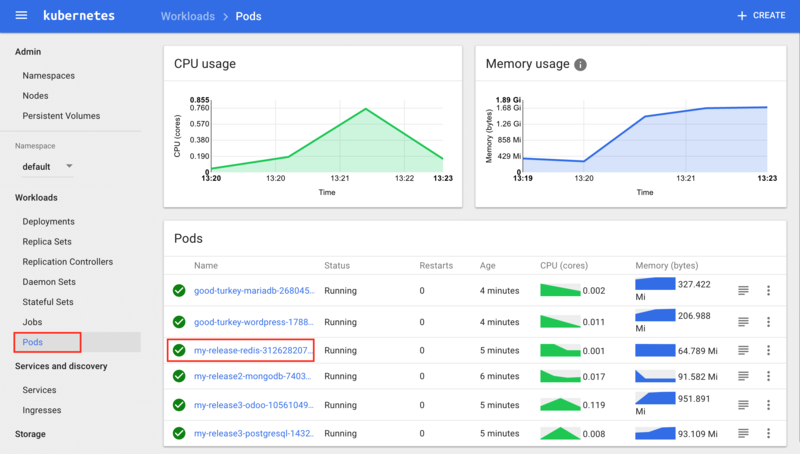 The Kubernetes Dashboard is a Web user interface from which you can manage your clusters in a more simple and digestible way. It provides information on the cluster state, deployments and container resources. You can also check both the credentials and the log error file of each pod within the deployment. Monitoring the status of your deployments and pods. Checking pod and container(s) logs to identify possible errors during the creation of the containers. To check detailed information about the status of your deployments, navigate to the “Workloads -> Deployments” section located on the left menu. It shows a screen with a graphical representation of the CPU and memory usage, as well as a list of all deployments you have in your cluster. Pods are the smallest units in Kubernetes deployments. They can contain one or multiple containers (that need to share resources in order to work together). Learn more about pods. When you click on a pod in the “Workloads -> Pods”, you access the pod list. By selecting a pod, you will see the “Details” section that contains information related to the pod,and a “Containers” section that includes the information related to this pod’s container(s). Click the pod you’d like to access further details for. Navigate to the “Workloads -> Pods” section located on the left menu, select the pod you’d like to check from the pod list. Navigate to the “Config -> Secrets” section located on the left menu. Click the application for which you wish to obtain the credentials. To uninstall an application, you need to run the helm delete command. Every Kubernetes resource that is tied to that release will be removed. TIP: To get the release name, you can run the helm list command. NOTE: Remember that MY_RELEASE is a placeholder, replace it with the name you have used during the chart installation process. TIP: If you already have a Kubernetes cluster created with some running application deployments, you can take a step further and try to scale and upgrade them. For detailed instructions, refer to our tutorial on deploying, scaling and upgrading an application on Kubernetes with Helm.